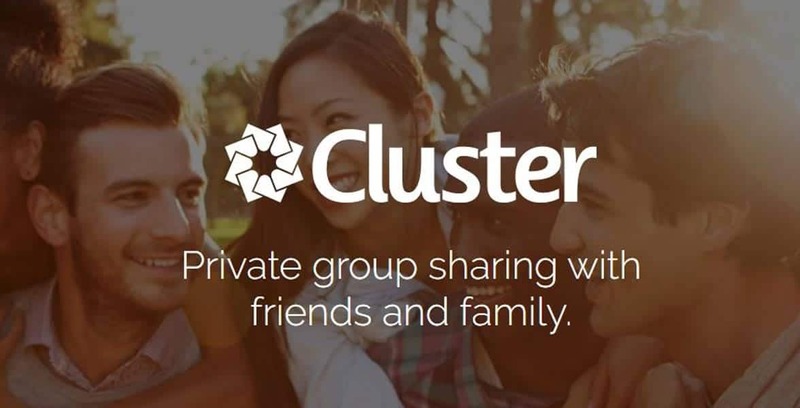 The Scoop: In 2012, a photo-sharing app called Cluster offered friends, couples, and family members a private space to share memories and laughter. The app allows users to create invite-only groups where they can post photos and videos in privacy. Couples often use the app to share albums of their children, travels, art projects, and other picture-perfect moments with people they trust. Cluster doesn’t publish ads and doesn’t collect data on its users, so you can just enjoy viewing, liking, and posting content for a select audience. A couple months ago, one of my oldest friends sent me a friend request online under her childhood nickname. I thought for sure it was a fake account because we were already friends on that platform. We’ve been friends for over a decade. I was tagged in her wedding photos, for crying out loud! I sent her a message to let her know someone out there was impersonating her, and she told me it actually was her. She had created a new account solely for sharing pictures of her newborn baby. She said her husband didn’t feel comfortable posting pictures for hundreds of followers, so they had both created alter-ego profiles where they could share pictures and videos to a more select audience of close friends and family members. Cluster offers a photo-sharing solution for mobile users wondering how to post pictures privately. It was difficult for my friend and her husband to manage four accounts on the same platform, but they thought that was the only way for them to protect their son’s privacy. Many modern couples face a similar dilemma of wanting to share without oversharing, and they can turn to the photo-sharing app Cluster for assistance. Cluster is designed to help people who have pictures they want to share — but not with just anybody. In 2012, Brenden Mulligan got the idea for Cluster because his friend Frank Barbieri wanted to collect photos of his wedding. He wanted his friends and family members to share their pictures, but he didn’t want to overwhelm social media’s newsfeeds with them. Brenden looked into potential photo-sharing solutions and came up empty-handed. Facebook and Instagram were too public. Dropbox was better for file-sharing, not photo-sharing. No website or app in existence truly suited the needs, so Brenden decided to build it himself. It took around four months for Brenden and a few talented software friends to code Cluster. Frank invested in the company, and together they launched a photo-sharing app where users could create private groups to post and comment on personal albums. Today, Cluster Labs owns and operates several user-friendly apps geared toward saving and sharing memorable moments in private groups. Cluster’s curated newsfeed of photo and video content appeals to people of all ages, but Frank told us the app’s sweet spot is the 23- to 44-year-old demographic. Interestingly enough, group creators skew more female (65%), but group members are pretty evenly split between men and women. Perhaps that’s because many groups focus on child photos, and women are more likely to be the primary caretakers in a family. Using Cluster is pretty straightforward. You download the app (available for free on iTunes and Google Play) or register on the website, and then create as many groups as you like. Some members have over 100 groups linked to their accounts. Cluster doesn’t set a limit on the number of groups or the number of members in those groups. Most Cluster groups tend to hover around 20 to 30 members, but you can send out as many invites as you deem appropriate. All you need is an email address to invite a friend or family member to specific groups. Once you’ve welcomed everyone into the fold, you can start sharing photos and videos in the group(s). Group members receive alerts about new photos, comments, and likes in the private forum. 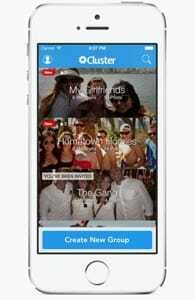 Cluster supports invite-only groups where members share personal photos and videos. Cluster’s curated newsfeed is fun to scroll through because it’s all photos you care about — no ads or sponsored content. Members can also create subgroups based around particular albums. Say, for instance, you’re taking a trip to Disney and want to keep those magical photos separate from the regular stream. Couples can also use the groups to create their own private photo albums. The app helps them keep tabs on the photos a partner has taken, and it’s an intimate way to share quick notes and kissy faces in privacy. Since its launch, Cluster has been powered by engineers, designers, and entrepreneurs rather than big corporate interests. The app does not take venture capital money nor rely on outside funding. Its founders believe in the power of online privacy and are committed to running a safe and ethical photo-sharing service that puts consumer interests first. The Cluster photo gallery is a safe, ad-free, and friends-only space. Cluster currently generates revenue by selling photo books — it does not sell advertisements or customer data — and it will soon expand to offer more personalized products, including mugs, shirts, pillowcases, and canvas prints. Frank told us the fact that he has been able to fund the startup independently is important because that has given the leadership team control over the direction of the company and its values. At the end of the day, Cluster is all about turning an unwieldy photo album into something more manageable and shareable. It’s about sending photos and notes to close friends and family members. It’s about claiming a private corner to appreciate the special moments in life. My friend and her husband had to think creatively to gain control over who can see their photos on social media, and I’m sure their son will thank them later when he finds out the lengths his parents went to to make sure his carrot-smeared face didn’t become public fodder. However, couples don’t have to create alternate social media accounts to keep their photos and videos under wraps. Cluster has made it much easier to maintain private albums for friends and family. The app empowers couples to share their lives with the people who matter most to them — without being at the mercy of a public forum. Thanks to Cluster, couples can view and comment on photos in total privacy. They can make albums centered around those special moments at home or on vacation, and they can feel secure that those precious memories won’t be visible to strangers online.